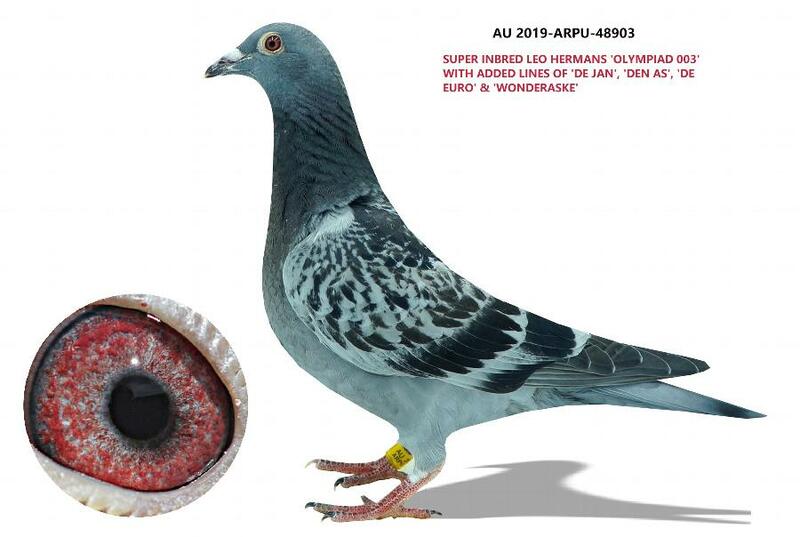 AU 2019-ARPU-48903 SUPER INBRED LEO HEREMANS "OLYMPIADE 003" X "DE EURO" X “DE JAN” X "DEN AS"
2019 Young Bird looks like a hen. This is Super inbred Leo Hearmans "Olympiade 003" X "DE EURO" X "DE AS" X "DE JAN". 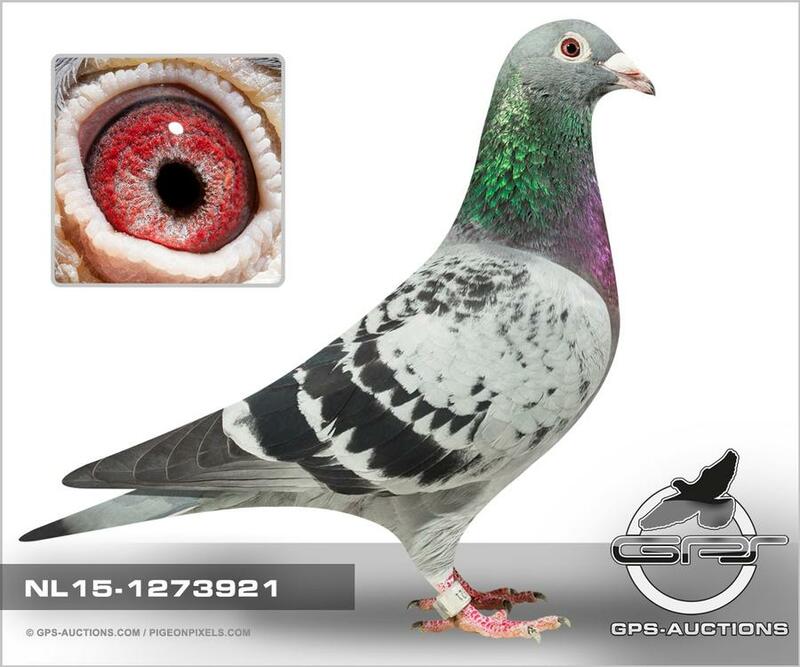 Leo's "Olympiade 2003" is one of the best breeder of the world. 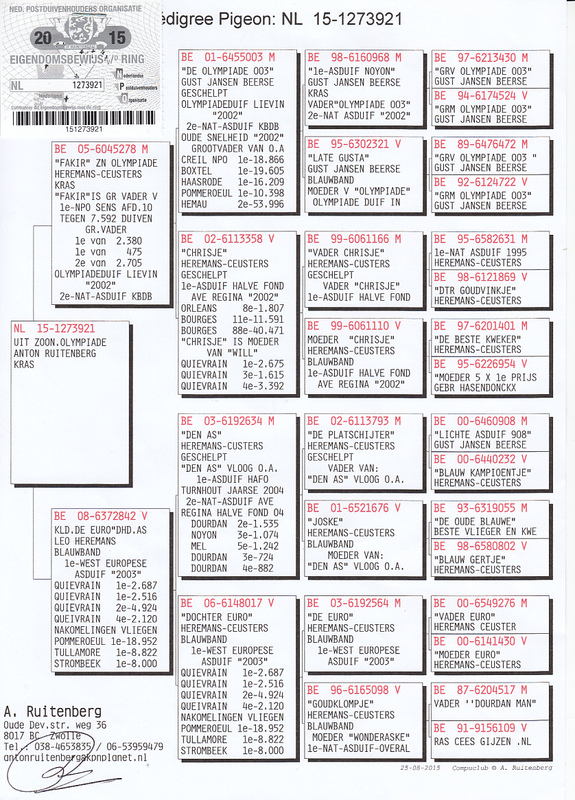 Both of this bird parents Pedigree attached, Father is original Leo Hearmans, you can see them load with all the Super starts. 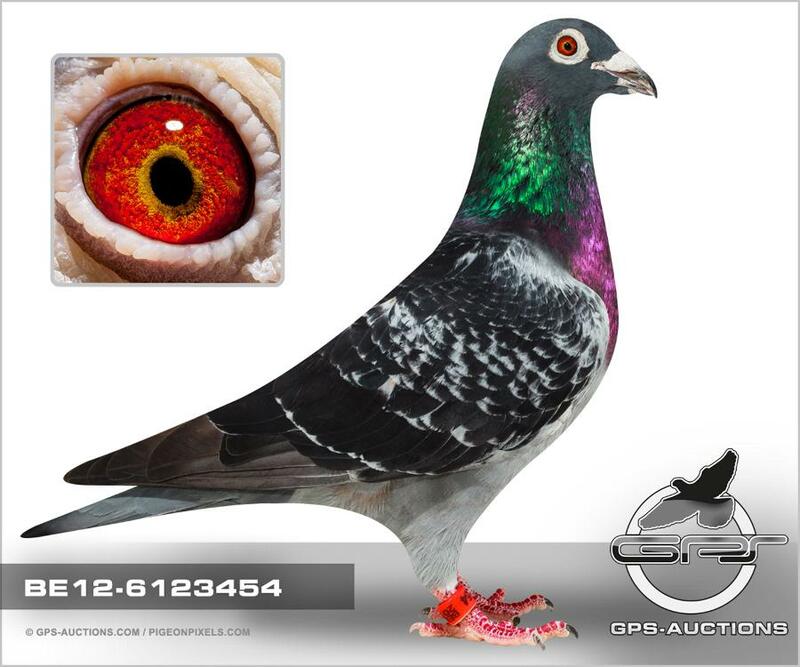 THIS BIRD WILL BE A GREAT FOUNDATION BREEDER IN YOUR LOFT!! !